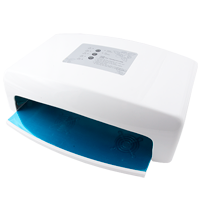 Lamp UV 36W for curing LOCA glue it's dedicated by LOCA producers UV lamp with high output 36W UV light that allows to cure LOCA adhesive glue within about 15 minutes. This version of lamp was specially constructed to cure LOCA glue - it's got shadow less construction. 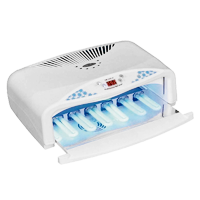 Lamp UV 54W for curing LOCA glue it's dedicated by LOCA producers UV lamp with high output 54W UV light that allows to cure LOCA adhesive glue within about 15 minutes. This version of lamp was specially constructed to cure LOCA glue - it's got shadow less construction. 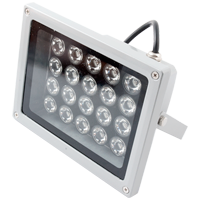 Device also has a fan and a special reflective coating which improve curing process. Lamp UV 45W for curing LOCA glue it's dedicated by LOCA producers UV lamp with high output 45W UV light that allows to cure LOCA adhesive glue within about 15 minutes. This version of lamp was specially constructed to cure LOCA glue - it's got shadow less construction. 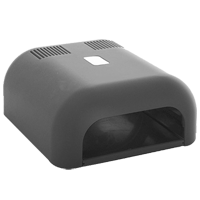 Device also has a fan and a special reflective coating which improve curing process. Lamp UV 20 LED for curing LOCA glue it's dedicated by LOCA producers UV lamp with high output 20W UV light (20x1W) that allows to cure LOCA adhesive glue within about 15 minutes. This version of lamp was specially constructed to cure LOCA glue - it's got shadow less construction. 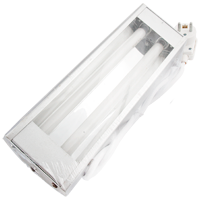 Lamp UV 48W for curing LOCA glue it's dedicated by LOCA producers UV lamp with high output 48W UV light (2x 24W) that allows to cure LOCA adhesive glue within about 15 minutes. This version of lamp was specially constructed to cure LOCA glue - it's got shadow less construction.